Ppps Jun 12 2018 4:01 am He looks like Kim Hee won....does he not? Magayon Feb 20 2018 8:36 am He is so cute and very adorable ? I started to admire him since "Fight For My Way" aired and hoping to have him new series in the future ? 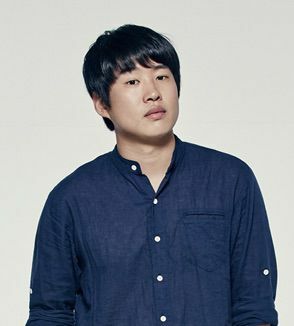 Dianne Park Jan 11 2018 2:03 am I became a fan since Reply 1988 and Youth over flowers.. Really love him..looking forward up to his upcoming project..
Ann Jul 31 2017 3:25 pm Had the pleasure of watching him for the first time in Fight For My Way. Truly a brilliant actor! I loved the pure, raw emotion he kept delivering so brilliantly in each scene. Will check out more of his works for sure! Kdramanut Jun 27 2017 12:26 pm I only know about him from Youth Over Flower in Africa and My Ear's Candy...but he's an incredibly good actor. I just love his facial expressions...they perfectly capture what his character is thinking at that moment. His chemistry with his on-screen girlfriend is also cute and very realistic. He is just adorable and I want to go back and watch some of his other work! kwakwak Jun 21 2017 7:45 am he looks like bae sungjae, an announcer from sbs(?)! i thought i saw him in law of the jungle, but it was just bae sungjae. Chocopudding Jun 01 2017 4:56 am He really look like Choi Moo Sung! kbrightstartwinkle Jan 05 2016 11:06 pm Your acting was good Reply 1988. I enjoyed watching you. The "Secret Garden" Coffee Kiss parody with Min Uk was hilarious. Looking forward to watching you in many more tv series!